Uganda Breweries Limited (UBL) on Thursday April 19, 2018 announced a water and education initiative aimed at potentially transforming livelihoods of the communities of Acholi sub region in Northern Uganda. 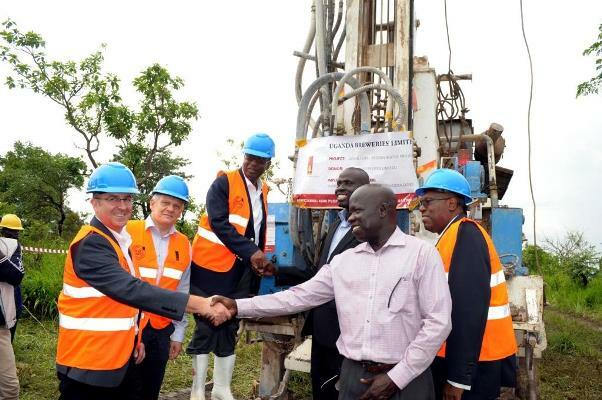 In addition to the 15 Boreholes commissioned in 2014, the brewery under its water of life initiative has commenced construction of 16 more boreholes for the sorghum farming communities in Agago, Amuru, Gulu and Nwoya districts in Acholi sub region, Northern Uganda. The project costing UGX 480M will benefit approximately 4,800 beneficiaries across the four districts who have been struggling to access water. For example Gulu District faced severe water shortage after Oitino dam dried up due to the prolonged dry spell leaving the municipality with a water shortage. 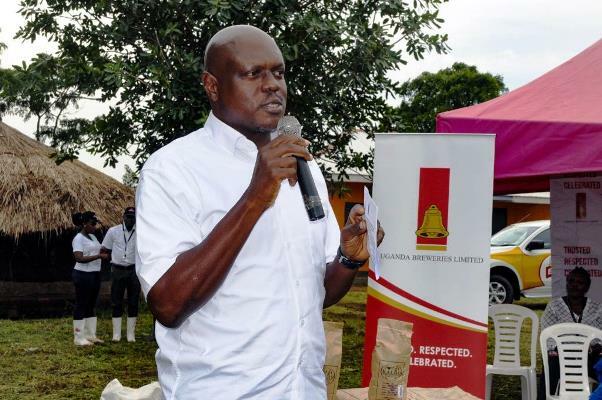 Uganda Breweries Limited (UBL) will also offer scholarships to 20 young, bright but less privileged students from the farming communities in Acholi sub region in Northern Uganda Under their skills for life initiative. The scholarships to technical institutions are for deserving students from the farming communities in Northern Uganda. 12 bursaries will go to girls and 8 to boys. The scholarships are aimed at giving the youth practical skills that can be utilized to generate income and employ others from within the communities. Under this project, Uganda Breweries will pay total fees of up to UGX 348,117,000 for the students to study from Daniel Comboni Vocational Institute and Kitgum Technical Institute. Successful scholars will each receive a complete university scholarship package inclusive of tuition, books, accommodation and a monthly stipend. “Water is a critical natural resource that we all cannot do without. By drilling these boreholes within our farming communities, our farmers and the communities around them will have access to clean and safe water, which will ensure a healthier community.” Said Dr. Alan Shonubi The UBL board chairman at the launch. “The demand for clean and safe water in East Africa is increasing every single day and we should all acknowledge the importance of fulfilling this demand. This access is fundamental to health and community development and we are proud of playing a role in growing the nation,” Andrew Cohen, the CEO EABL said. Dr. Alan Shonubi, UBL Board Chairman emphasized the need for corporate companies to play a part in developing skills and talent of the current generation in order to secure a sustainable future. He noted that UBL seeks to address the issue of gender inequality and women empowerment which is why they allocated 60% of the scholarships to girls. Over the last 17 years, Uganda Breweries Skills for Life programme has awarded over 200 university scholarships across East Africa, with 40 of them from Uganda. Uganda Breweries has previously had a number of projects in Gulu. 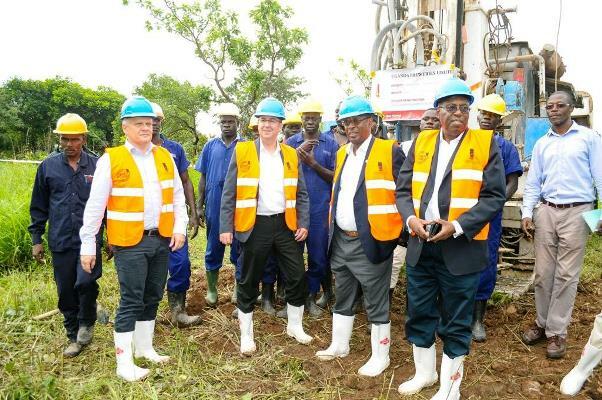 UBL in 2014 sank 20 boreholes in the three districts of Lamwo, Pader, Kitgum and Apac. 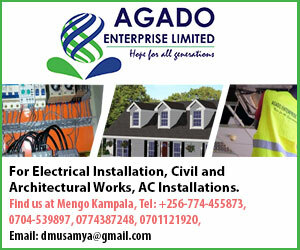 The project cost over UGX 365M and benefits 14,000 people.